These cute bride and groom piggy banks are soon to be the focus of my next customer's order for a lamp. 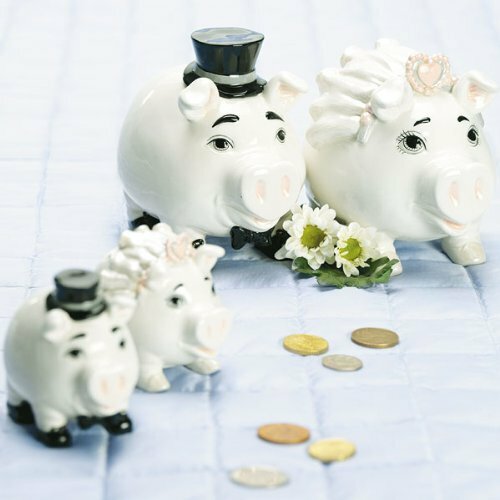 The bride and groom collect piggy banks so it's a perfect wedding gift! Stay tuned for more pictures as I create this adorable wedding gift.